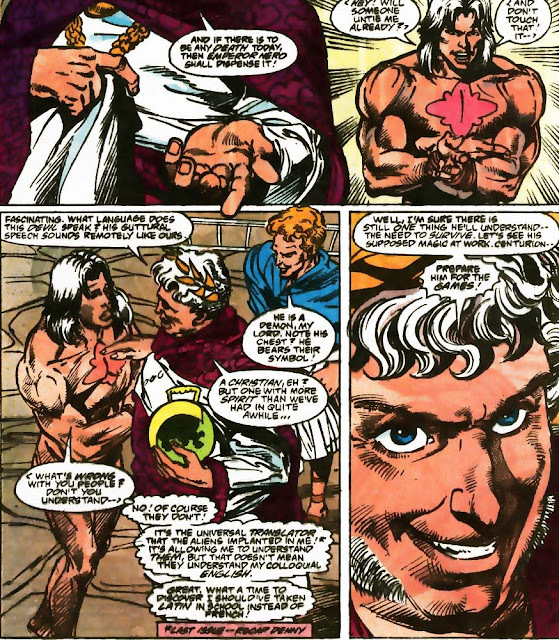 After the events of Armageddon 2001, Captain Atom & Monarch find themselves time traveling to different eras. 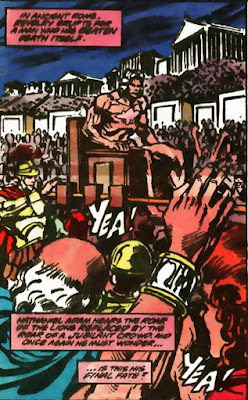 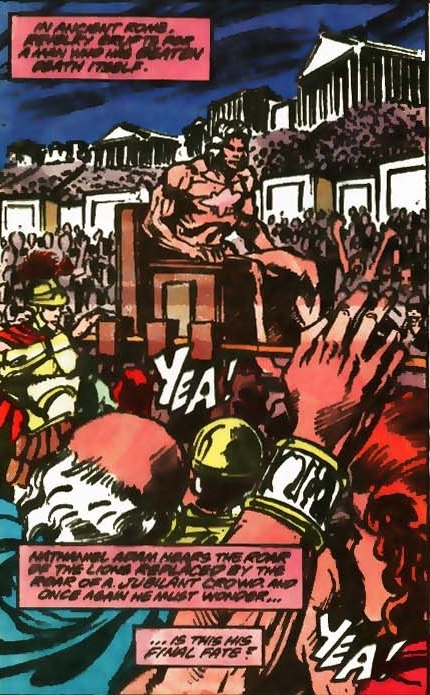 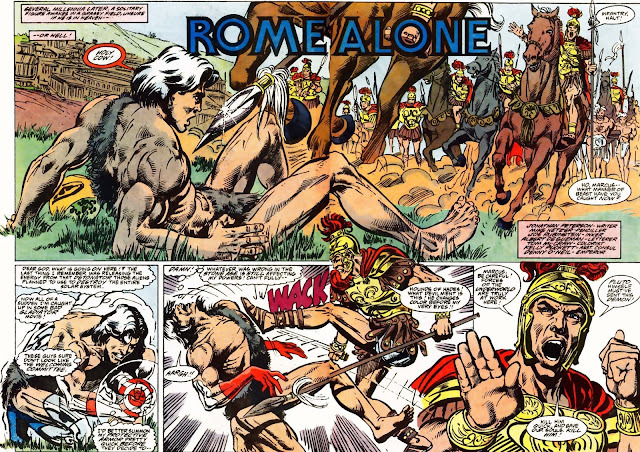 In Armageddon: Alien Agenda #1 & 2, Captain Aton finds himself in ancient Rome. 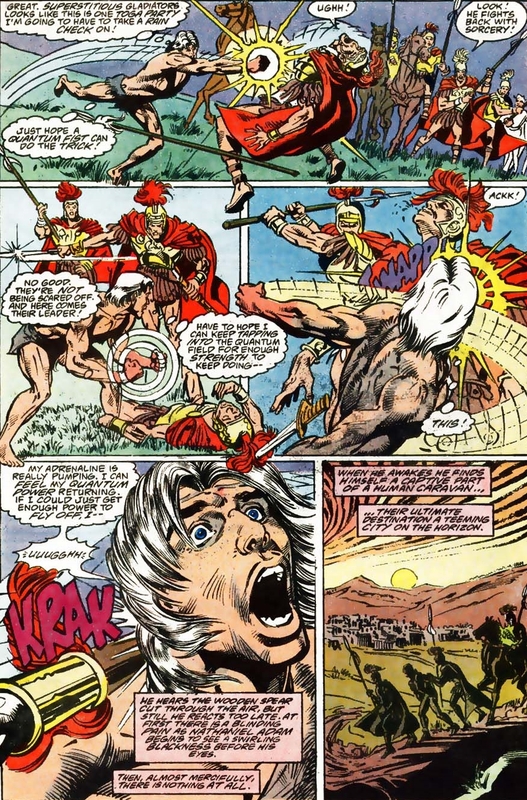 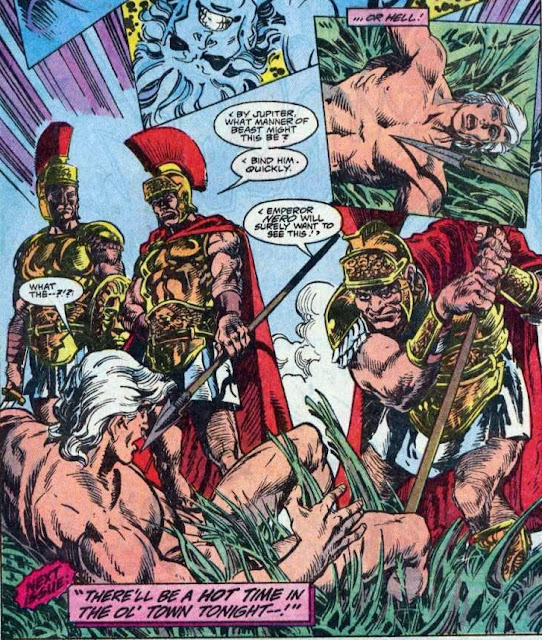 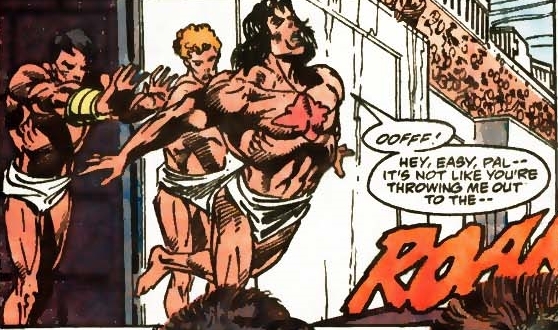 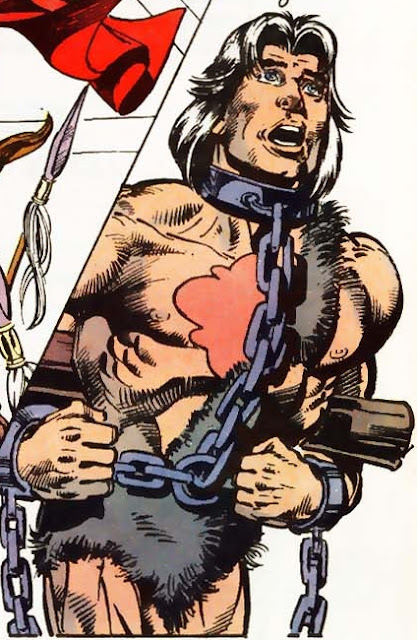 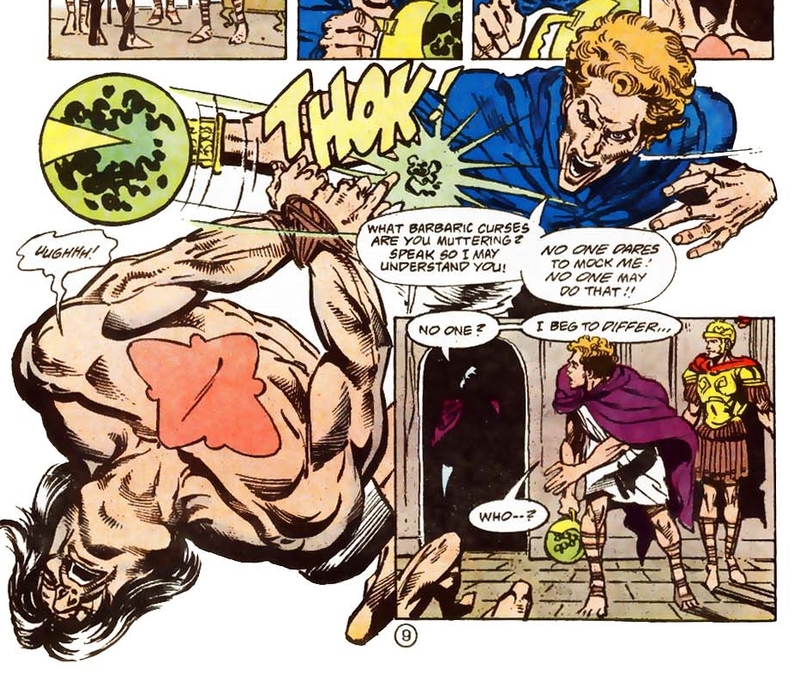 Kinda weird that he appears to be naked in the first issue, but then he suddenly is wearing a loincloth out of no where. 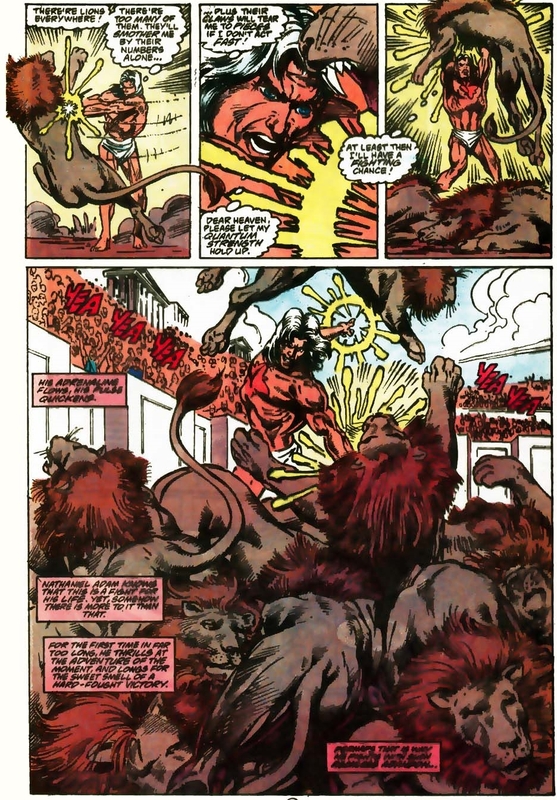 Captain Atom is another superhero who has always excited my fantasies.